Arlee Warrior basketball coach Zanen Pitts is one of three Ronan graduates that will coach a team at the state tournament. RONAN — Over the past two Saturday nights, Ronan High School has been represented well across the state of Montana. Out of the six state basketball tournaments happening this coming weekend, three Ronan High School graduates and a former head basketball coach will be guiding their teams through three of them. Zanen Pitts, a 2005 graduate from Ronan, coached the Arlee Warriors into a second place finish at the Western C Divisional Tournament. The Warriors entered the championship game at 22-0 and faced Manhattan Christian, who was also 22-0. The Warriors finished second at Divisionals and will face Northern Cheyenne Thursday at 6:30 p.m. at the Billings Metra. Aaron Skogan, another 2005 Ronan grad, coached Highwood Mountaineers into a second place finish at the Northern C Divisional Tournament. Highwood will face Manhattan Christian at 2 p.m. on Thursday in the Billings Metra. Zanen and Aaron were both on the 2005 basketball team that advanced to the State A Tournament in Butte that year. 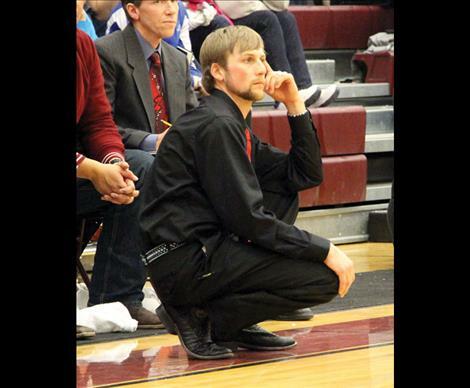 Matt Luedtke, a 2000 Ronan grad, coached the Choteau Bulldogs, who finished the regular season 20-0. They went on to win the 1B District Tournament and continued that streak through the Northern B Divisional Tournament. Choteau will be entering the State B Tournament in Great Falls undefeated. Coach Luedtke is the current record holder for the number of 3-pointers made in one high school season in the state of Montana. Jim Stergar coaches the Billings Central Rams and won the Eastern A Divisional, advancing to the State A Tournament in Bozeman. Stergar coached at Ronan High School and led the Chiefs to the State A Championship game in Belgrade in 2002, where they lost to the Browning Indians. Coach Stergar coached Matt Luedtke and then left Ronan after Coach Pitts and Coach Skogan’s freshman year to take a job in Billings.